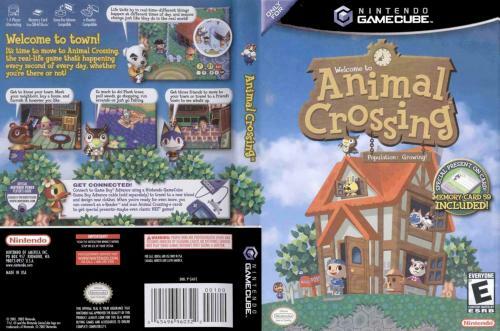 OverviewIn Animal Crossing, the player lives a virtual life where they design interiors, collect items, capture various species of bugs and fish, and explore a one-of-a-kind town filled with amiable animal townsfolk. This game is an absolute blast. You live your life among human like animals as you start out on your own life. You can build up your house, collect furniture, make friends, and shop. This game includes a 24 hour gameplay and the game goes on even if you're not there. You also have the ability to travel to other people's towns by sharing memory cards with each other. 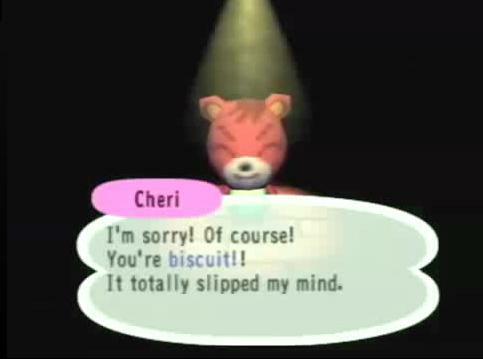 A great Gamecube game. A little warning though. It is very addicting. Fantastic game. Great for relaxing gameplay and just for enjoying yourself rather than always the fast paced shooters or RPGs that are everywhere nowadays. 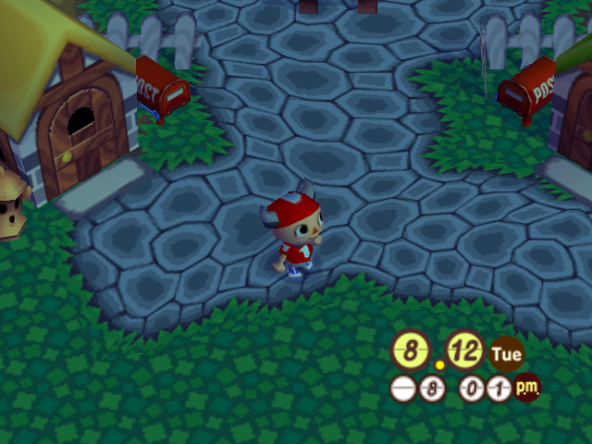 In Animal Crossing you move to a sparsely populated town that is equipped with a post office, a small store, a dump, a fountain, a museum and a police station. You buy a small house from the store owner but lack the funds to pay him so you go to work for him to pay it off. After a few jobs he lets you go and says to pay off your bill as you can. Once you pay off the bill he will expand your house for you and you get another bill (this continues 3-4 times) You can decorate your house with furniture, wallpaper and carpet/flooring. You can go fishing, catch insects or dig up fossils to sell (or donate to the museum). Run errands for the townsfolk and they will reward you. Keep your town clean and more people will move into your town. You can also visit other towns, if you have other save data on another memory card. 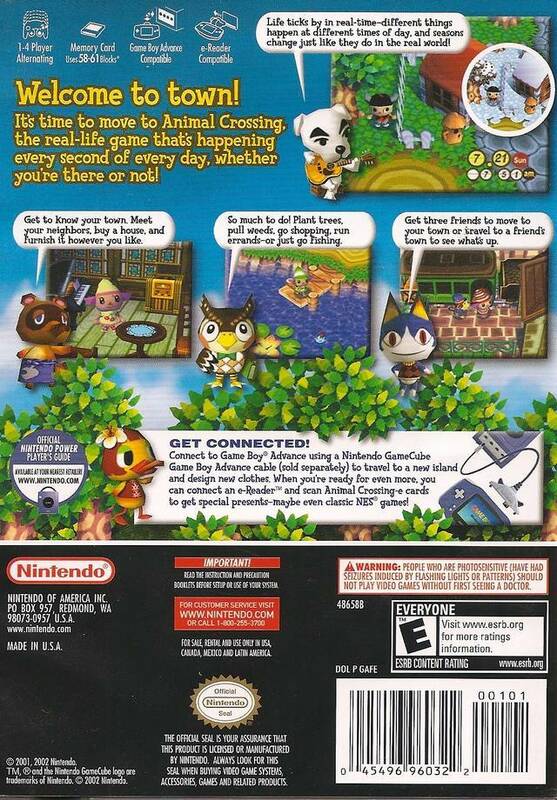 Animal Crossing also operates in real time, well based on the time you have set on your game, and counts up minute by minute. I often manipulate this feature, because I'm sorry I am not quite patient enough to wait for months on end for the seasons to change, especially since certain fish/insects and such can only be found in certain seasons. Some tips: Check the dump and police station often. You can find some furniture and such strewn about in them to help you decorate or to pay off your bills. Planting flowers increases your towns attractiveness and attracts more people to town. 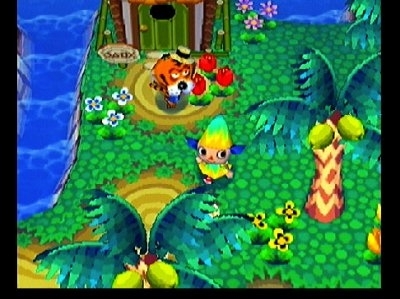 If you have other save data, make sure the town has a different fruit on the trees from you. Any other fruit that doesn't grow to start in your town is worth more money. Also, plant some fruit from that town in your own, so you don't always have to travel there. 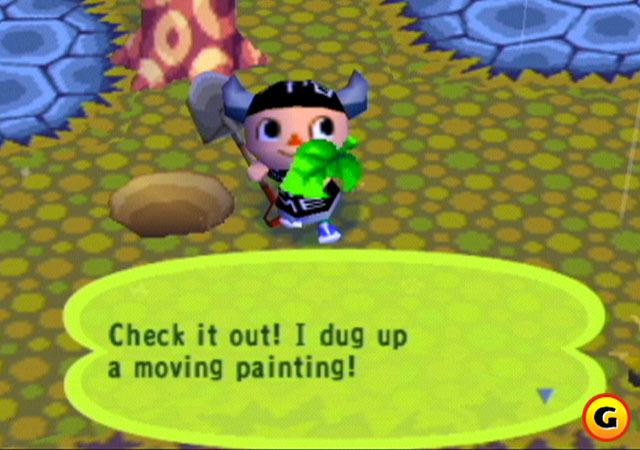 Animal crossing is a sort of strange tamogachi-esque game where you interact with other anthromorphic animals in a fantasy setting where you go about your everyday life, play mini games, and generally just relax. It's a great life sim for people that enjoy that sort of thing, and it's fun making money and managing your character's relationships with other characters in the game. 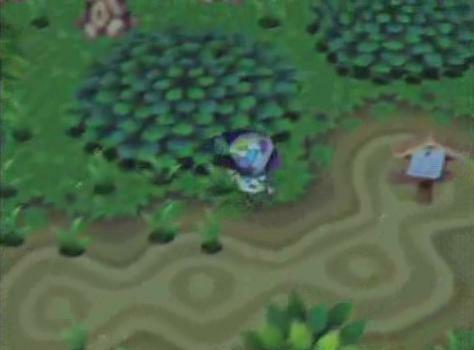 The game operates on the Gamecube's real time clock, and events happen when you're away from it in a similar fashion to Seaman on the Dreamcast or some of the newer Pokemon games. It's an interesting game for people that enjoy games like harvest moon or other life sims, but doesn't offer much for gamers looking for story or action-driven gameplay. If I had a bad day, it makes me happy. But the latest version isn�t so nice. I�m missing too much of the little details and the music isn�t that well.. So I decided to bring the good old times back. 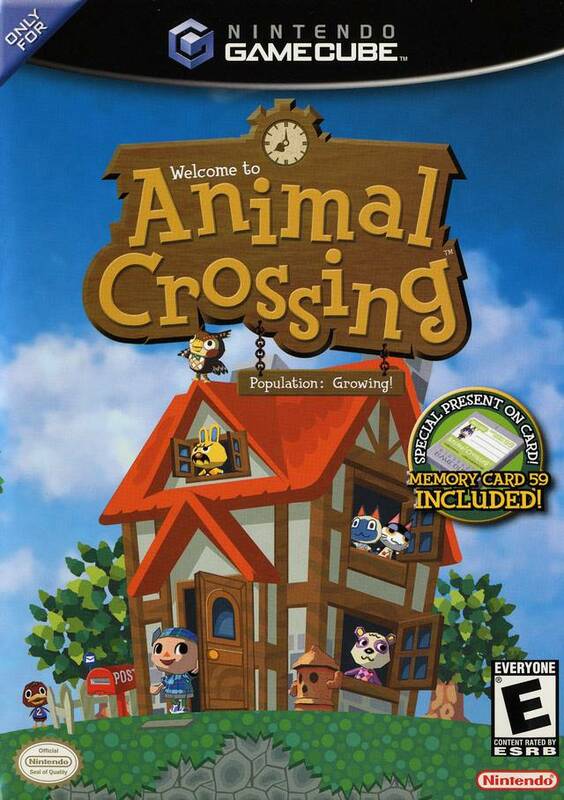 Animal Crossing, for many, a world which they got absorbed into. The concept of a person pulling from a train into a cartoon community populated with - what else - animals, could make for a widely praised game. 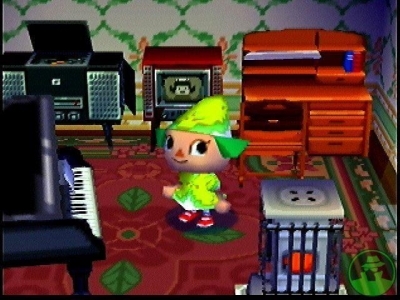 A quiet, happy, and group-oriented animal crossing one might say. Lack of plot or challenge to draw the player actually works to improve the game here. The sheer number of activities and a good sense of humor that is both kid-safe and capable of making older kids and adults have a laugh. 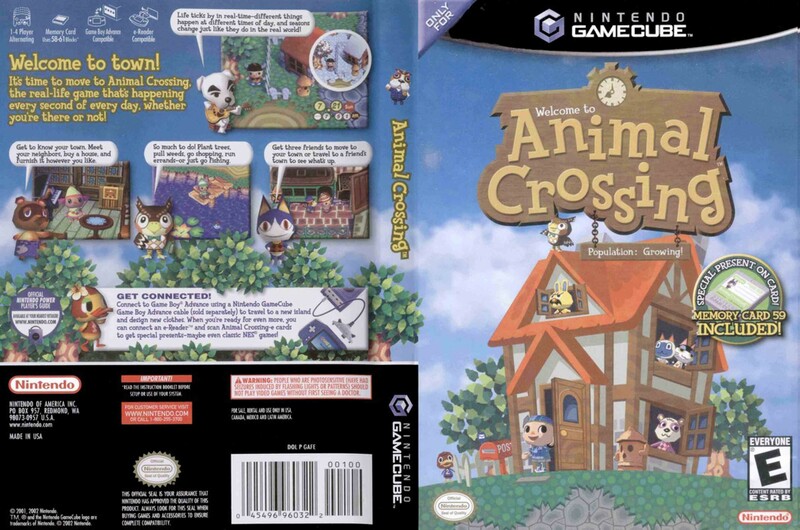 The premise is simple: Animal Crossing is a RPG style game where you play as the mentioned human leaving home to make your way in the countryside village. When you arrive, since you have no money and no place to live, the owner of the general store loans you a house. Where the game goes from there is really up to the player freedom! The goal of the game, if it can be said to have one, is to simply live in the village and amuse yourself. You have no need to eat or sleep. 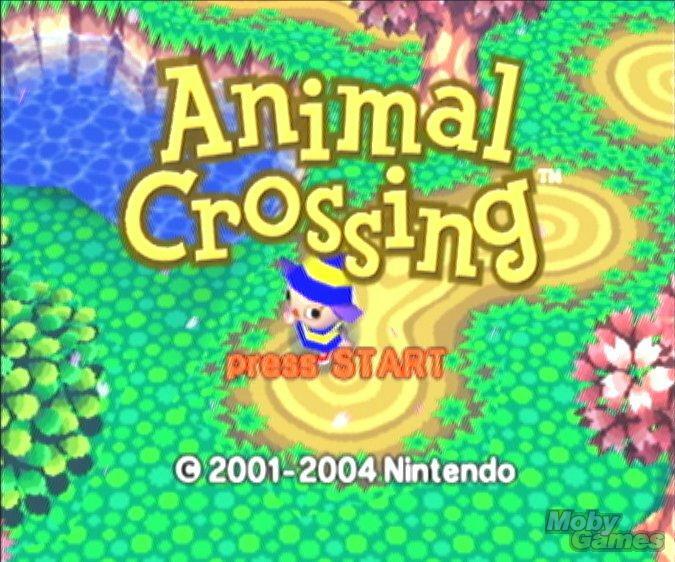 As you play, you'll meet the animals of the village, see some move out and some new ones move in, find various ways of making money, and begin to get a picture of just how much there is to do and see. 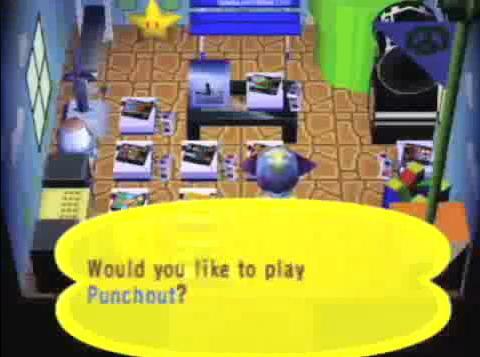 Events happen in real time through use of the GameCube's internal clock, allowing for daytime and nighttime activities, along with special events like holiday celebrations and seasonal changes. The game features perfect use of the internal functions of the gamecube (also absorbing an entire memory card for those on disk) and is completely worth the purchase. To top it all off, there are NES games you'll collect along the way. This game features so many of the rare titles it's like you now own the Nintendo Entertainment System purely by owning Animal Crossing. An extremely entertaining game, as long as repetition doesn't get the best of you. 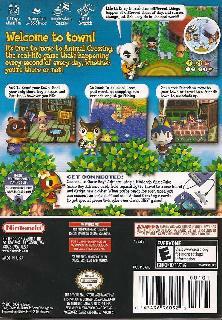 Read all 7 reviews for Animal Crossing Submit your description for this title! Now you can add videos, screenshots, or other images (cover scans, disc scans, etc.) 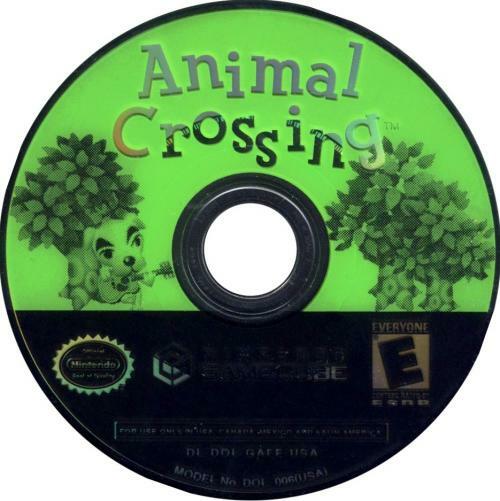 for Animal Crossing to Emuparadise. Do it now!